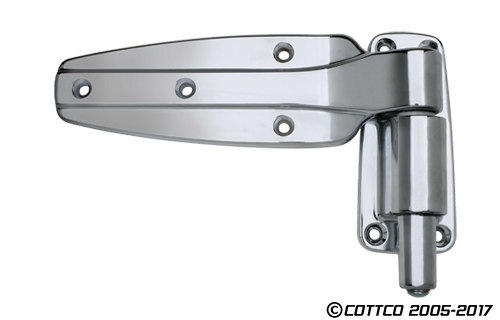 KASON 1248 Spring Assist Cam-Rise Hinge helps provide exceptional sealing power for heavy walk-in cooler doors by adding extra closing force to overcome air resistance even where irregular floors are present. Available up to 2" OFFSET, Kason's unique design allows the user to change hinge swing from left to right by simply reversing the nylon cam. For your convenience, Cottco's "Determining Offset" product guide will help you identify the appropriate offset dimension for your application. As always, call us toll free with any questions 877-283-1745.